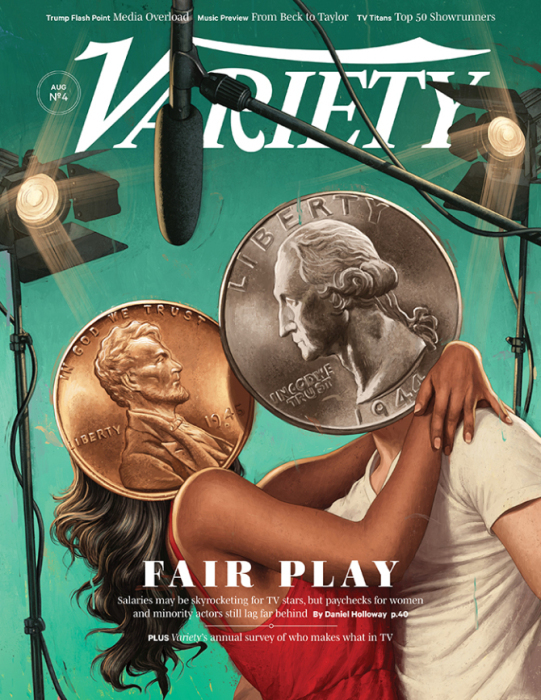 Here’s a wonderful cover by RORY KURTZ for Variety Magazine called Fair Play or Fair Pay? Kudos to Variety to using illustration on the cover. The feature in the mag focuses on equal pay for female and minority actors — “The Fight for Equal Pay: Women, Minorities on TV Still Making Less Than White Men.” When is this going to change?